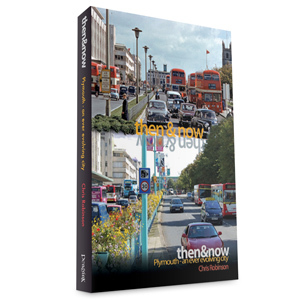 Plymouth’s Historic Barbican is the definitive account of one of the city’s greatest assets. Commissioned to coincide with the 50th Anniversary of the Plymouth Barbican Association in 2007, the book, chronicles the attempts to preserve the old parts of this important Elizabethan seaport. 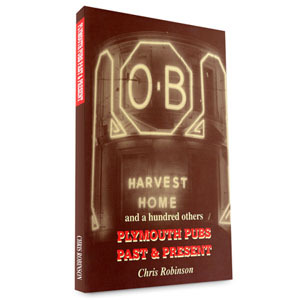 With a fascinating account of the area’s early history and detailed records stretching back hundreds of years the book features some of the earliest photographic images known of old Plymouth and through them vividly brings to life a great many of the late, lamented treasures that once populated the area. 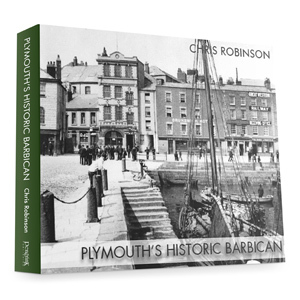 Plymouth’s Historic Barbican is the definitive account of one of the city’s greatest assets. Commissioned to coincide with the 50th Anniversary of the Plymouth Barbican Association in 2007, the book, written by the city’s best-selling local historian (and a director of the Association) Chris Robinson, chronicles the attempts to preserve the old parts of this important Elizabethan seaport. 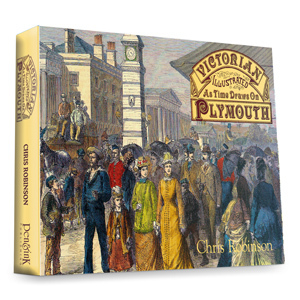 With a fascinating account of the area’s early history and detailed records stretching back hundreds of years the book features some of the earliest photographic images known of old Plymouth and through them the author vividly brings to life a great many of the late, lamented treasures that once populated the area. In the late nineteenth and early twentieth centuries the voices that spoke out against those set on a course of redevelopment were few and far between and wielded little power. However in the 1920s, when wholesale destruction threatened great swathes of the Barbican, people power became a little more persuasive and, thanks in no small measure to the intervention of the Astors and the formation of the Old Plymouth Society, the Elizabethan House was saved, preserved, and handed back to the authorities as a living museum. Thirty years later, after the Luftwaffe has bombed the heart out of the commercial centre but not the old part of town, the authorities tried once more to ‘improve’ the area. Once again a vocal minority managed to make its voice heard. 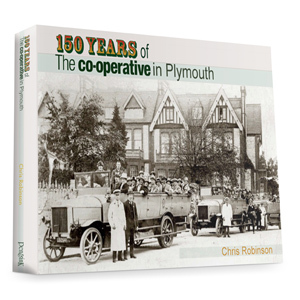 This time it was the Plymouth Barbican Association, formed initially as an offshoot of the Old Plymouth Society, that saved the day – but not without a major struggle as this book reveals. Readers will be left in no doubt that were it not for the efforts and the great commitment of a group of young war veterans Plymouth’s Barbican area today would be little more than a massive waterfront council house estate, dating, with a few exceptions, from the 1950s and 1960s – and all of it executed in line with the 1943 Plan For Plymouth … a far cry from the vibrant historic quarter it is now. 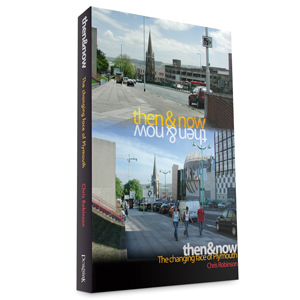 Today’s City Council has a wholly transformed attitude to the area and thus the future looks relatively rosy, but the lessons are clear, what was being dismissed as ‘worthless’ fifty years ago is now seen as ‘priceless’ – a veritable jewel in the city’s crown, but much was lost along the way and more would have been were it not for a vocal few who managed to stop the relentless pursuit of simple subsidies in exchange for the demolition of our heritage.